I groan when my alarm goes off and fumble for my phone. It’s 5am. I could use another hour or two of sleep, but I have so much work to do and these are precious quiet hours while my daughter is still asleep. On autopilot I tap open my email on my phone, scrolling through to see what the day has in store for me. My heart rate speeds up as I learn of a couple of tricky situations I’ll have to navigate. Not quite ready to get out of bed and face the world yet, I flip over to Instagram and scroll through the feed. When I’ve exhausted that I switch over to Facebook to see who’s had a new baby or posted a cute cat video. I glance over at the time – 5:52am. Crap! I’ve just wasted nearly an hour. If I wasn’t going to use the time meditating or working, I might as well have stayed asleep. Now I’m starting the day stressed, behind and exhausted. Annoyed with myself, I rush into my day, skipping my morning meditation because now I’m an hour behind schedule. That evening, the scene is much the same, but in reverse. I crawl into bed, utterly wiped, but instead of going to sleep, I check my phone “one last time.” I check email, I mindlessly scroll through addictive and endless social media feeds, and suddenly I realize that I’ve pissed away yet another good hour or more doing nothing at all but getting wound up and making it that much harder to get to sleep. Valuable time I could have been sleeping or at the very least truly relaxing. I wish this story was the exception to the rule. These days, thankfully, it is. But a few short months ago, this was an almost daily routine for me. Starting and ending the day from such a reactive and stressed out place wasn’t doing anything for my professional or mental wellbeing, not to mention my physical health. We all know how critical sleep is for our mental and physical wellbeing, but lots of us don’t take the time to properly wind down in preparation for it. When you’re tired, it’s so tempting to zone out in front of some kind of screen – be that your TV, phone, laptop or whatever your screen of choice. But even if the subject matter of what you’re viewing doesn’t get you worked up (and often it does more than you think), the blue-tint of your screen is actually stimulating to your brain and suppressing the release of your sleep hormone melatonin, while elevating your fight or flight hormone, cortisol. No bueno. Yes, you can get yourself a pair of amber-hued glasses to wear at night to block out these stimulating blue rays, but honestly I think that’s a lot of effort. Far simpler to simply switch off. If just a mere 30 minutes before bed – bonus points for a full hour – you turn off all screens and dim the lights (even better, turn them off and light some candles instead), you’re signaling to your body that it’s time for sleep. By the time you get to bed, your body will be relaxed and ready for rest. Have you ever heard that old adage that an hour of sleep before midnight is worth two hours of sleep after midnight? There’s something magical about the earlier hours of sleep – and the window between 10pm and 2am seems particularly important for its restorative potential. The earlier you can get to bed, the better. I strive to be in bed by 9:30, asleep by 10pm. If you’ve primed your body for a good night’s sleep and gone to bed early enough, chances are good that you won’t need an alarm to wake you in the morning. It is so much healthier and lovelier to wake naturally without an alarm, when your body is ready for the day. These days – with only a few exceptions – I wake consistently without an alarm between 5:30am and 6am. Still plenty of time to get in some precious me time along with my magical window of “everyone’s still asleep” work. And I get a full night’s sleep. If you want to really go for it, don’t have any electronics – particularly those emitting wireless signals – in your room while you sleep. EMF exposure can be very stimulating and some experts argue that the constant exposure is having a profoundly negative impact on our health. I’m not sure if it’s psychological or physiological, but I’ll admit I sleep much better when I leave all electronic gadgets out of the bedroom (not least of which is that it helps me with #s 1 and 4 on this list). Do you wake up, roll over, and check your phone first thing? This isn’t something that’s physically unhealthy, but I’ll tell you from an efficiency and effectiveness perspective, it’s a total killer. When your first daily inputs are external and you go immediately into reactive mode, you’ve just handed those most precious early morning brainwaves – arguably some of the most creative of the day – to whoever happens to be in your email or social media feed. The first hour of your day is precious self-care time. It sets the tone for the day. How you spend these first 30 to 60 minutes is a very personal thing. Maybe it’s a quick run or you take the dog for a walk. 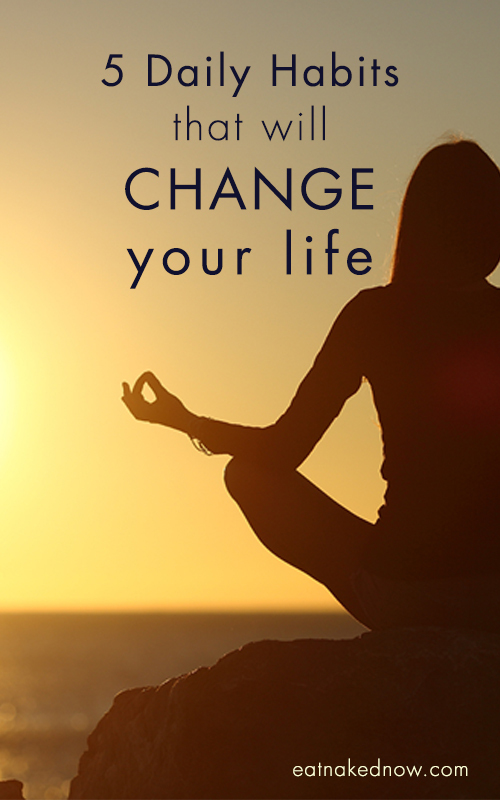 Perhaps you do some journaling or meditate, or both? Maybe you sit on the front porch with a cup of tea and a book. Maybe it’s some stretching and a hot shower. There are so many things you can do to prime yourself for a healthy and productive day. Why not postpone the inevitable plugging in until you’ve put YOU first? Of all the morning routines I’ve tried (and I’ve played around with a lot) the one I’ve found the most impactful on all levels – mental, emotional, physical and professional – is meditation. I won’t say more about it here because I’ve written about how health- and life-changing this one simple daily practice can be elsewhere. If you’re not plugged in first thing, you can afford 10 minutes to sit quietly and focus on your breath. Try it. 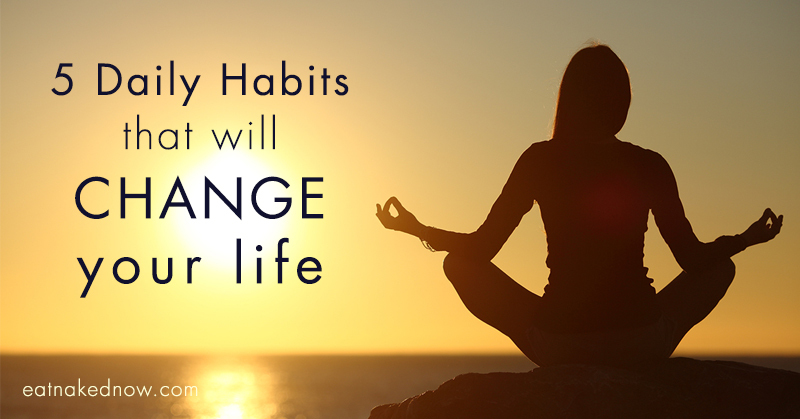 What daily habits keep your days healthy, happy and productive? 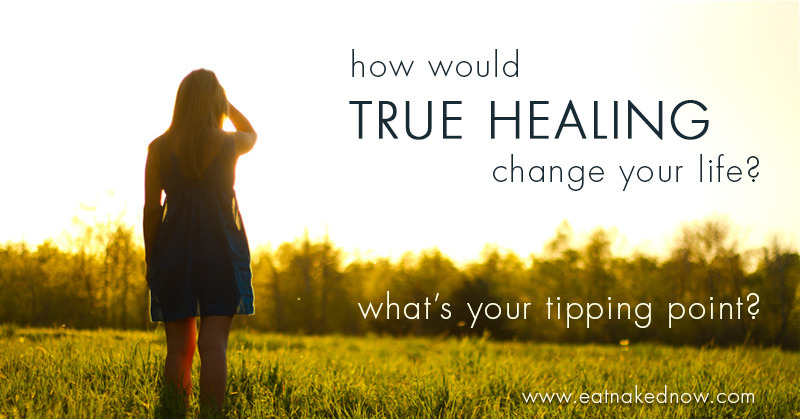 How would true healing change your life? What is your tipping point? 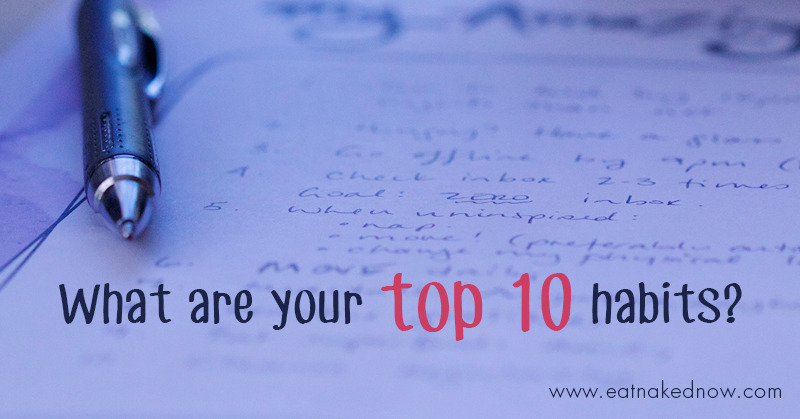 What are Your Top Ten Habits? Healing Foods 101: Seven reasons to add bone broth to your daily diet. meditation . Also for breakfast . I can now do a workout first thing after prayer for the first time in 5 years! Thank you for the reminder. I notice that when I crash into bed at night it sets a bad tone for the next morning. Inevitably I end up rushing. I truly believe that the way we start and end the day are most important for our emotional wellness. I like to wind down at night with a book and start the day with a 30 minute walk–not that I follow through every day but I feel better when I do!